Smarts: Excellent at anything involving combat. Unfortunately, Genma has trained him to believe that fighting is the only manly solution to any problem, thus making him a little slow at things requiring diplomacy or rational behavior. Personality: A macho wiseass, who has a weakness for anything with "martial arts" in the name. Standard Takahashi stubborness, which actually tends to work in his favor, as he actually can wear down his opposition with "not giving up." Needs a lot of work in expressing softer emotions. Willing to exploit any advantage he's given. Cooking: He can, mostly from field experience. He's not good enough to open his own restaurant, but it is tastier than Akane's. Fighting Skills: Very very good. He's easily in the top ten martial artists in his world, and a few more years of training could make him the champ. Good at learning and modifying techniques. Special Abilities: Turns into a girl (big plus for bi potential mates! ), ki blasts, hot/cold ki circle, various others. Competition: Bunches. 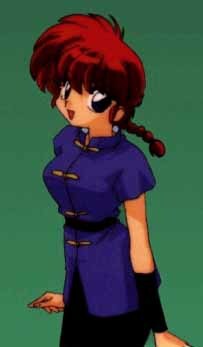 Most of them (male and female) would try to kill you; Akane (who Ranma loves per Takahashi-sensei) will pull her passive-agressive bit by pounding Ranma which loudly declaring she doesn't care. And Ranma is likely to react very poorly to *yet another* potential fiancee. 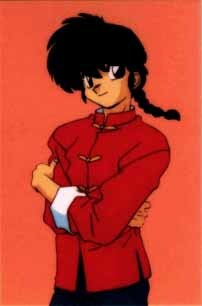 Economics: Ranma isn't really suited for any career not involving martial arts. Get him on the professional kickboxing circuit now! Warning; expect a huge food budget. Overall: Really, more trouble than he's worth.